Steel Mains has the ability to manufacture Steel Pipe and Fittings at its various manufacturing plants across Australia. These plants are located in Kwinana (Western Australia) and Somerton (Victoria). Our manufacturing facilities incorporate the highest standards of environmental, quality and safety systems. Please see attached Third Party accreditations for these various facilities dealing with Environmental, OHS, Quality and product certification to AS1579 standards. 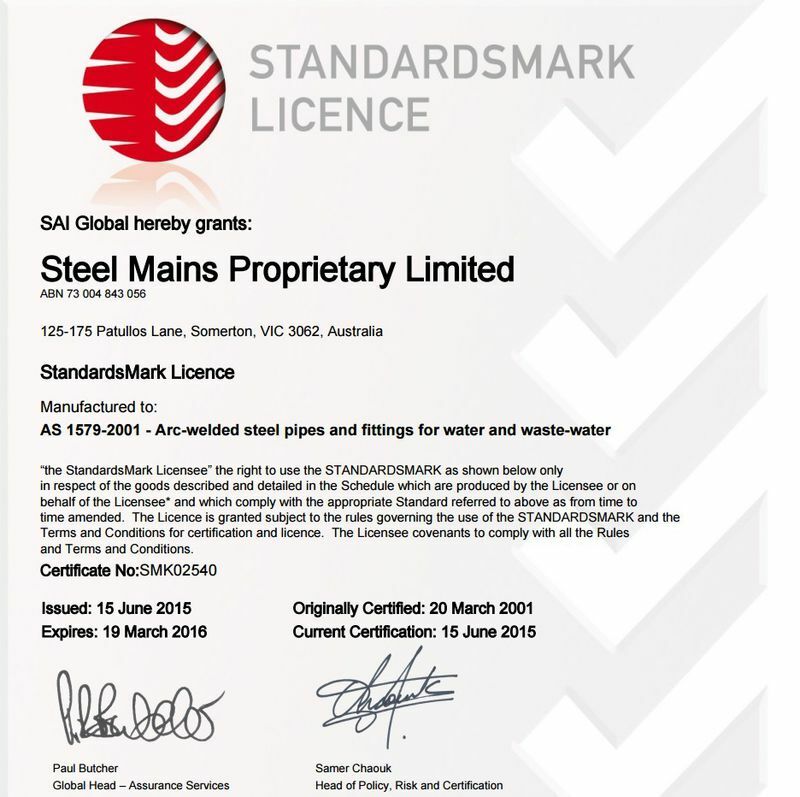 Steel Mains and its forerunners are Australia's leading supplier of Mild Steel Pipe and Fittings to the water industry. We have worked with many of the major water authorities and councils around Australia to have our products approved for works to be carried out in there respective regions. Below you will find links of various water approvals from water agencies around Australia.